How has your week been? We hope you've had a great one but if not, this week’s roundup is bound to make you smile! You'll wanna know about the Fenty Beauty Liquid Lipsticks (could it really be happening so soon?) to BECCA’s adorable mini highlighters. We’ve also got a couple of sales to get you started on your Christmas shopping, minus the wallet guilt. And if you're a Star Wars fan, you'll love the result of your two fandoms coming together! Is it Christmas already?! Nope, it’s just the birthday of one of our favorite online beauty websites, BeautyMNL! 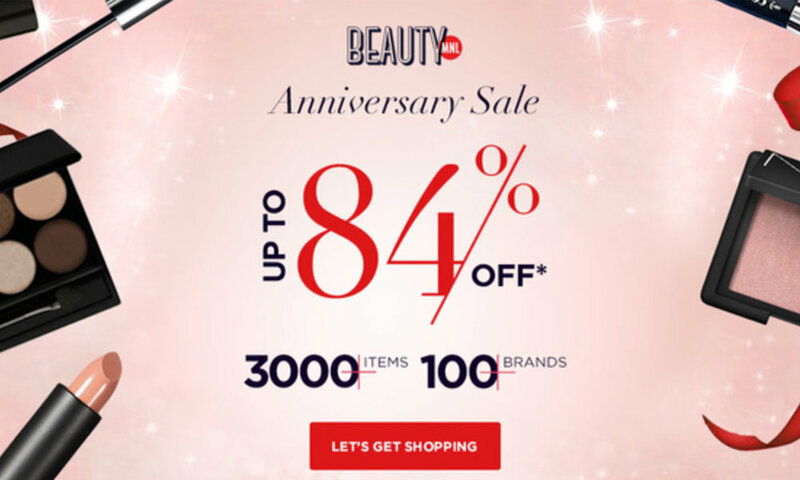 To celebrate another year of making so many beauty dreams come true, the site now has a crazy sale of up to 84% off on over 3,000 items from over 100 brands! Snag your favorites or try out some newer items at a lower cost. Shop brands like Simple, Snoe Beauty, L’Oreal, V&M Naturals, Innisfree, and many more! I’m eyeing the Dr. Jart+ Ceramidin Cream (P1,818, from P2,598) because of our story on ceramides, and stocking up on my favorite Innisfree Auto Eye Brow Pencils (P198, from P225). There are tons of Korean sheet masks on sale, too! So hurry on over PV Girls because the sale runs until September 24 only! Shop the Anniversary sale here. Getting our #GlowOn has become such a fun (and sometimes necessary) step in our makeup routines. From golden glimmers to pearly pink sheens, highlighters simply take ou FOTDs to the next level but let's be real: it takes forever to finish up a pan! BECCA Cosmetics, a brand that pretty much embodies the word glow, has just released the cutest and most compact highlighters ever. 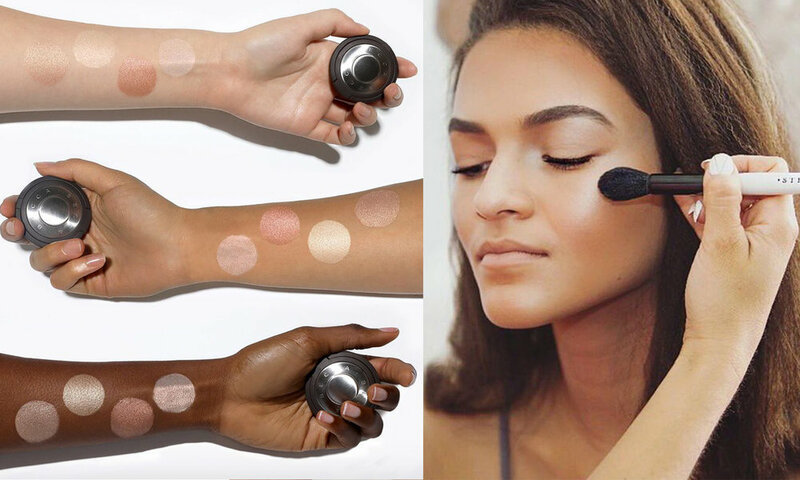 The Shimmering Skin Perfectors, a BECCA favorite, are now available as minis! The pressed finely milled highlighters will have a 0.085oz version, perfect for traveling and for those that can’t seem to make a dent on their regular-sized pans before their expiration dates. The minis will come in the three of their iconic shades - Opal (pearly opal), Moonstone (pale gold), and Rose Gold (rose toned gold) - plus a new shade called Vanilla Quartz (pink pearl and light gold). The minis will retail for $19 a pan. As if their Swimmables Collection wasn’t exciting enough, CARGO Cosmetics just teased their holiday offerings, and it will have your geeky side freaking out! The makeup brand will be releasing a limited-edition capsule collection of makeup inspired by the Star Wars movie franchise, complete with gorgeous and futuristic packaging! Although they haven’t released details on what products will be part of the line up, the shared image appears to show two mascara tubes, four eyeliners in black, charcoal, gray and brown, and of course a palette that says “highlight pressed powder” (which makes us hope for a highlighter that can be seen from space?) Set to launch in October, we’re hoping that since Cargo is already here in the PH, they might be able to release some of these spacey products here, too. Could the Force be strong enough? We’ll keep you girls updated! Most of the beauty world is still trying to absorb the awesomeness that is Fenty Beauty. Rihanna’s brainchild has managed to win the hearts of several skeptics, provide a shade match for everyone (including an Albino woman who has since gone viral expressing her joy at finally finding a shade), and sell out in numerous Sephoras around the world. From her sticks to highlighters, glosses and foundations, people want more. And more specifically, they want lipsticks! Well, it looks like Rihanna has our back because based on a teaser and some sneaky shots, it looks like Fenty Beauty may just be coming out with liquid lipsticks. Posted on the Glamour Goals Twitter page, the Louboutin-inspired packaging features vibrant red liquid lipstick that looks amazingly bright! No confirmation has been made on Fenty Beauty or Rihanna’s part, but we’ll keep an eye out and start saving up for these beauties! Not one to skip a beat, Maybelline is making sure that we can do some of our holiday shopping early this year, with an amazing 30% off deal on their products! From September 7 to 30, you can now shop selected products at a discounted price from all Maybelline counters nationwide! From their Fit Me range to their famous mascaras, a lot of your favorites are probably on the sale list. We spotted the Color Sensational lipsticks at just P199 and the Dream Satin Skin Foundation at P374.25! View which items are part of the sale here. Happy shopping, PV girls! Don’t forget to get yourself a little something too! It’s been a while since we talked about a makeup trend that was making waves online and in the beauty community. From wavy brows to glass skin, makeup enthusiasts are finding new ways to up and push the limits in the beauty world. 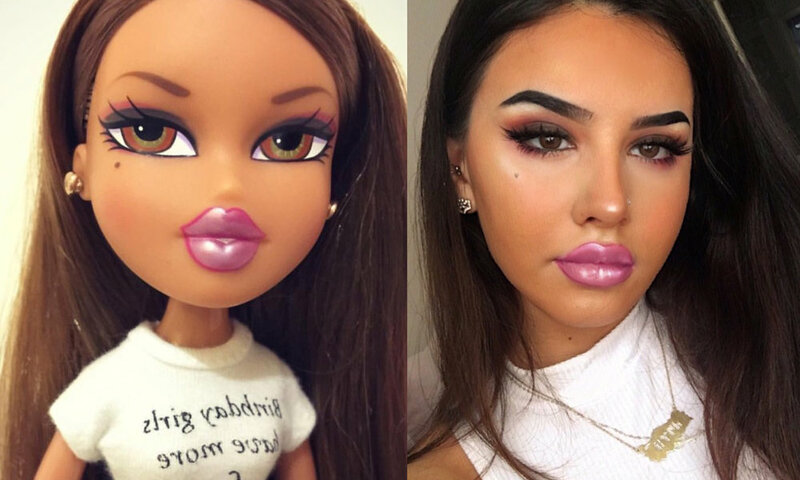 Aside from the fact that the 90s are back and people are loving their chokers and brown lipsticks, another childhood phenomenon is making its way back - Bratz Doll makeup! Yes, the beloved sassy dolls from the early 2000’s with their big hair, even bigger lips and crazy eyeshadow are the latest makeup pegs for amazingly vibrant and loud looks. From Instagram to Snapchat, Facebook and actual YouTube videos, beauty gurus are loving the sharp winged liner and big bold lip looks. And the surprising thing is, they actually look and cute and pretty wearable! 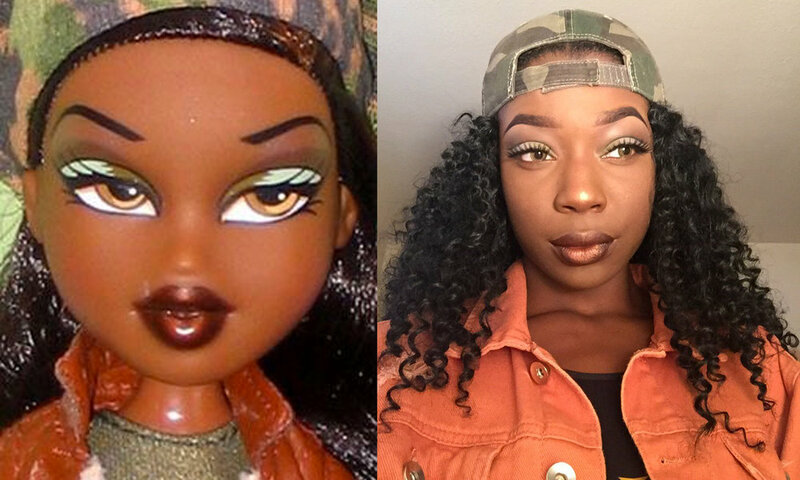 Would you rock the Bratz Doll look?